For the last several years we have been engaged in custom design work, mostly using ARM Cortex M4 such as Teensy 3.2 from PJRC. It is waaay better than the classic Arduino hardware and there is a great community, including many professional users who are working hard to make reliable, robust products. For example there is a superb I2C library for Teensy 3: i2c_t3. All the Arduino documentation should be as good as this. We use it and highly recommend it, along with a couple of minor mods we've added. JStamp and JStik domains are gone but content is still here, under Systronix Miscommunication led to our ISP not renewing these domains as directed, and we didn't catch that in time, so there you go. These products are obsolete but we still have remaining JStik, SaJe and JStik quad serial stock. Mostly related to Teensy 3, WIZnet W5500 and W850io, I2C libraries, and more. The robotics community is gone with some files relocated. There are historic projects for TrackBot, Vex and SunSPOT. Sadly, in the US, it is pretty much dead. None of the realtime Java chip vendors have survived. Oracle killed off SunSPOT - which is what Arduino could/should have been. We've moved on and gone back to the future: writing C++ and C on ARM 32-bit MCUs. 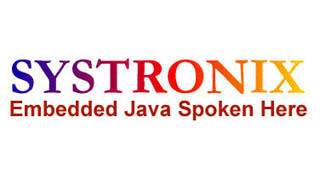 Systronix is independent of Sun Microsystems, Inc.
TStik, JStik, JCX, JStamp, JSimm, JDroid, and JRealTime are trademarks of Systronix, Inc.